Norman Lee Truax, 65, of Crestwood, died March 17, 2019 at his residence. He was born in Louisville, Ky. May 11, 1953 the son of the late Walter Bond & Doris June Landers Truax. 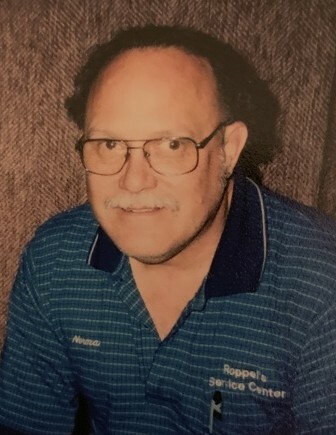 Norman had been a manager with Roppel’s Auto Service for 37 Years and was a member of the Crestwood Christian Church. He leaves to cherish his memory his companion of 30 years, Carolyn Schildknecht, sons, Travis Ewing (Crystal) and Chad Schildknecht, brothers, Walter “Tommy” Truax (Cora) and David E. Truax (Meg), nieces, Sharon Truax-Slavey (Jon) and Donna Ader (Steve), grandchildren, Braelyn & Casey Ewing and Sierra Mattingly, great granddaughter, Khloe Avera, great nieces and nephews, Benjamin Ader (Reagan), Virginia & MollyJane Ader, Aaron & Erica Slavey, great great nieces, Callie & Amelia. Norman was preceded in death by his daughter, Tasha Ewing and brother, Harold Truax. A service celebrating Norman’s life will be held 11:00 AM Thursday, March 21, 2019 at Louisville Memorial Gardens Funeral Home East, 11601 Ballardsville Rd. Visitation will be from 12 to 8 Wednesday at the funeral home.